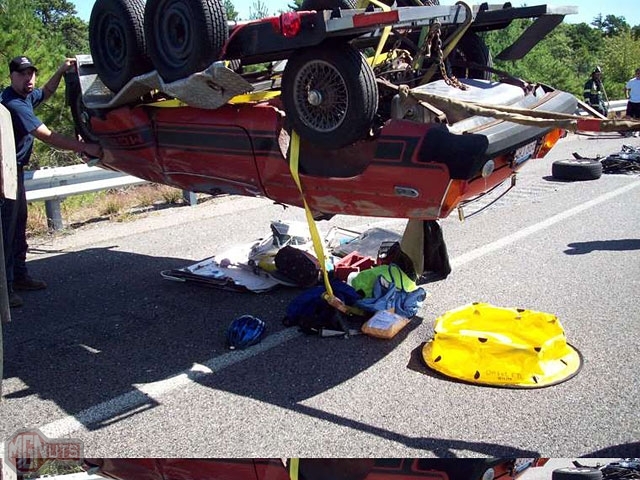 Here are photos that truly are difficult to look at. 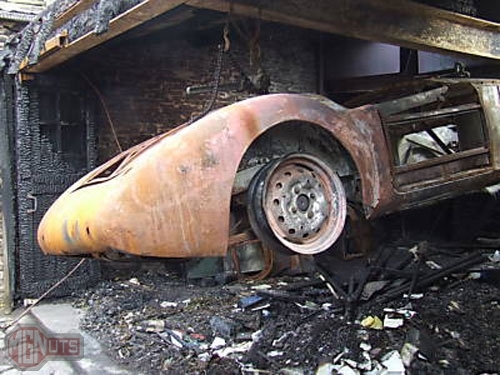 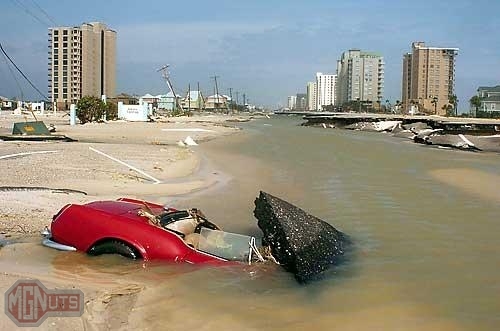 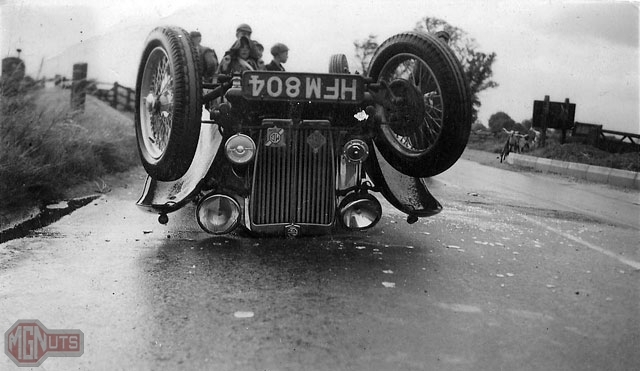 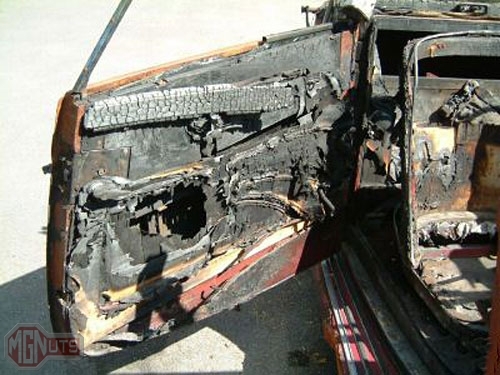 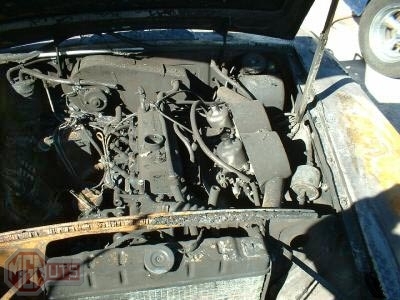 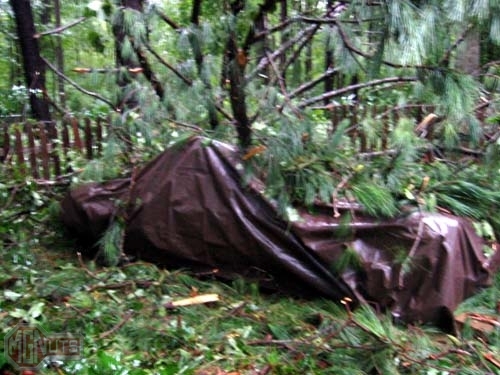 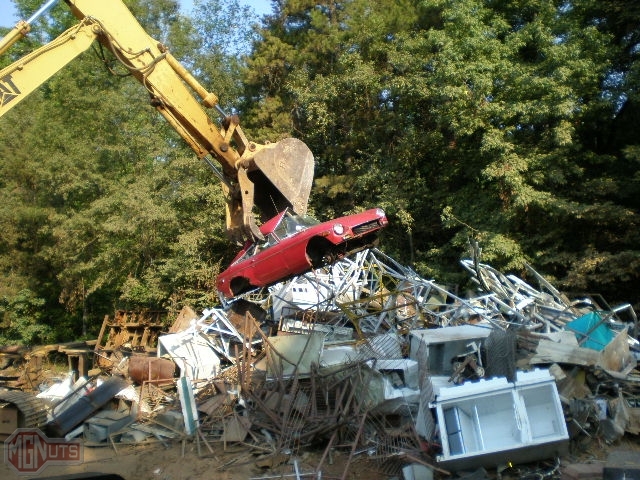 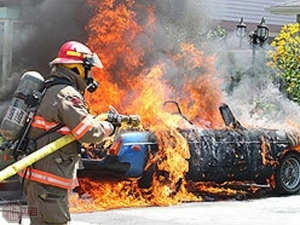 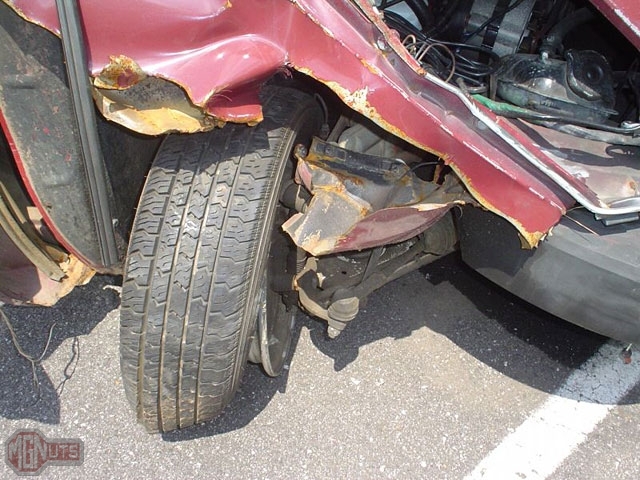 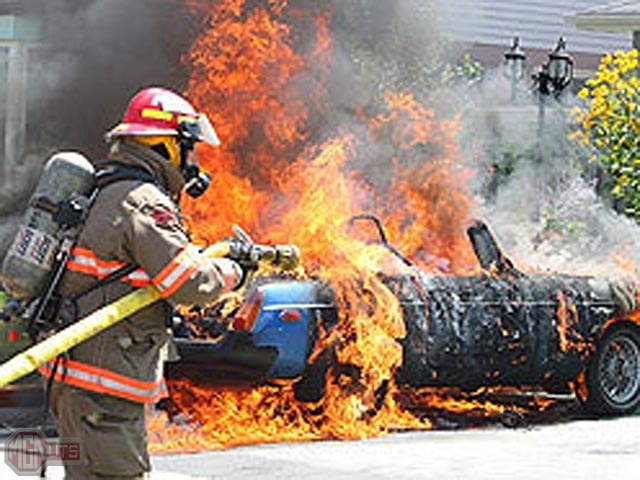 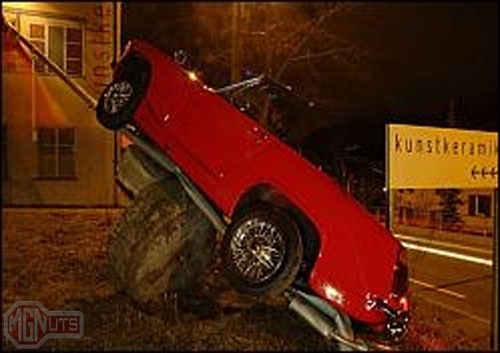 These are fates we hope our cars will never face but sometimes it is inevitable. 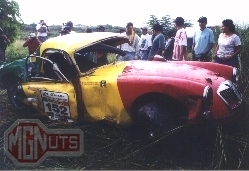 If you have photos to contribute which are related to MGs, please e-mail them to me so that others can learn from them. 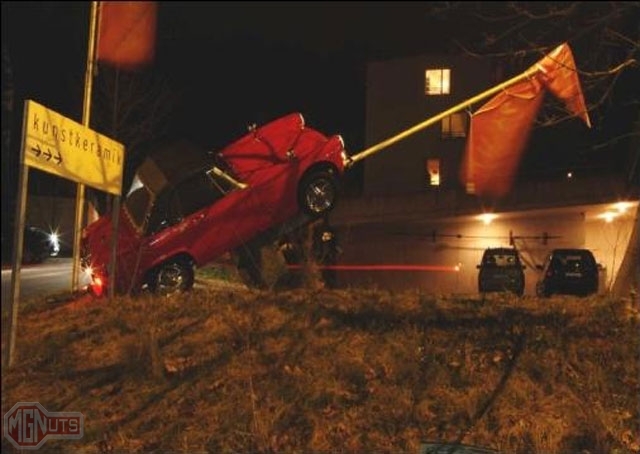 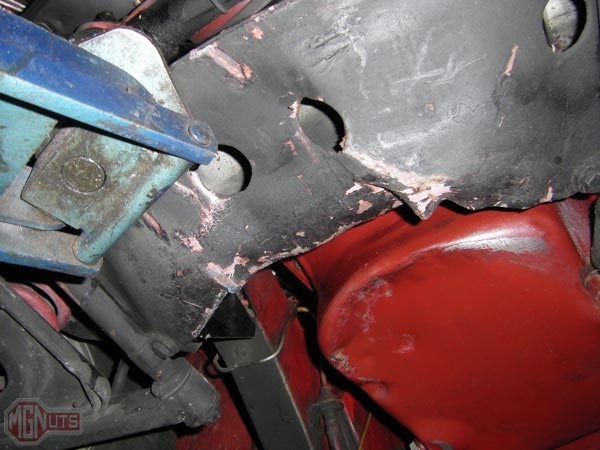 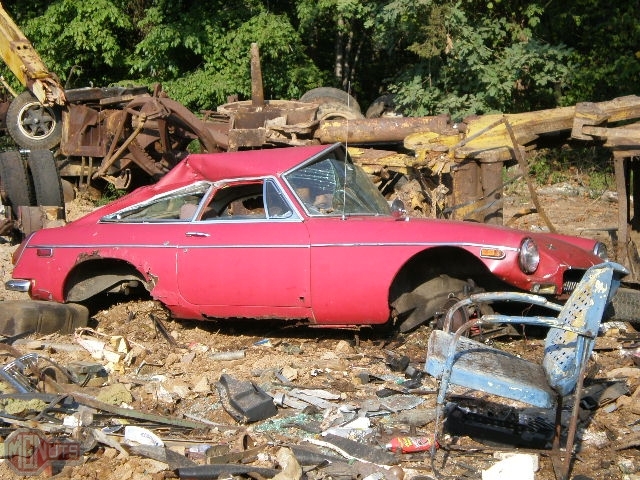 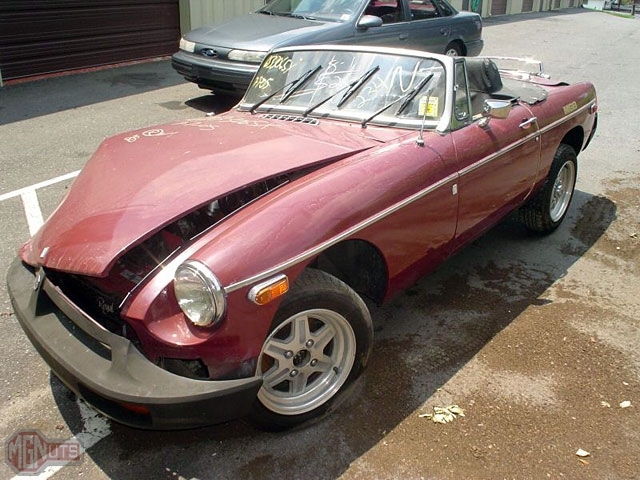 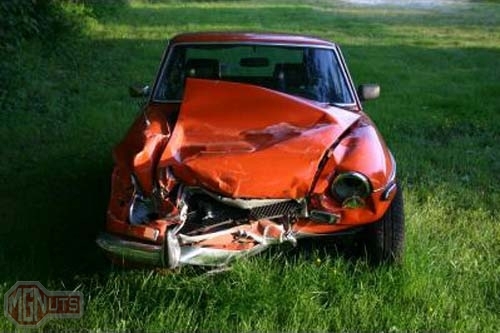 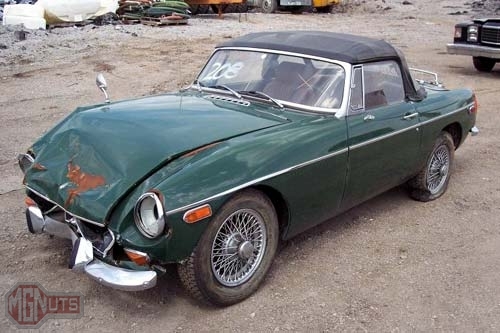 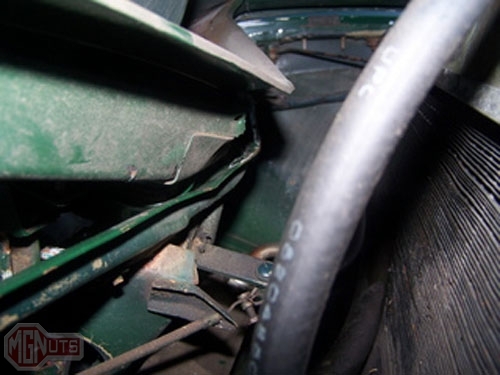 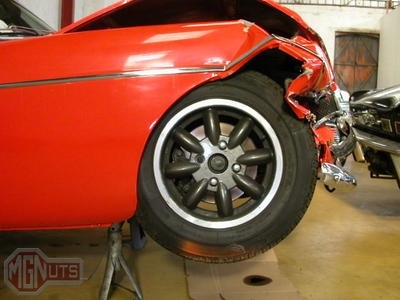 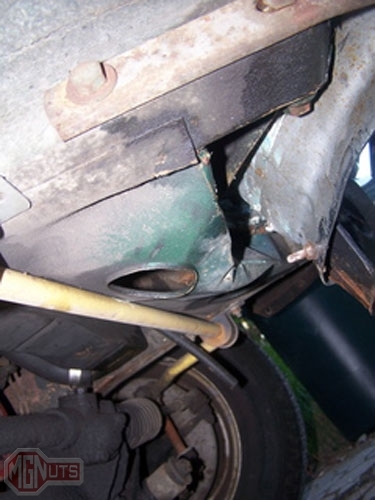 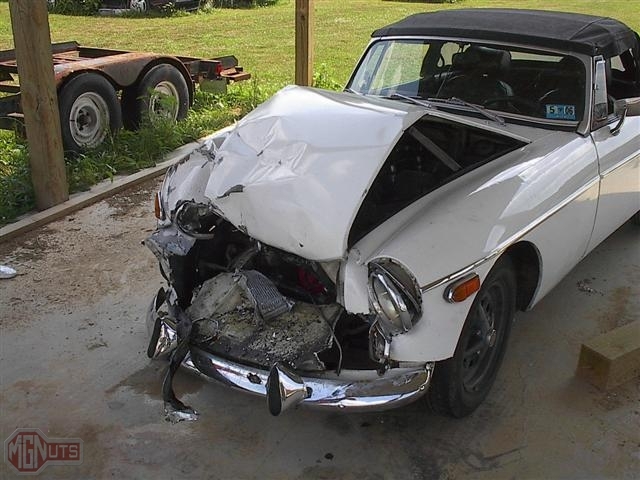 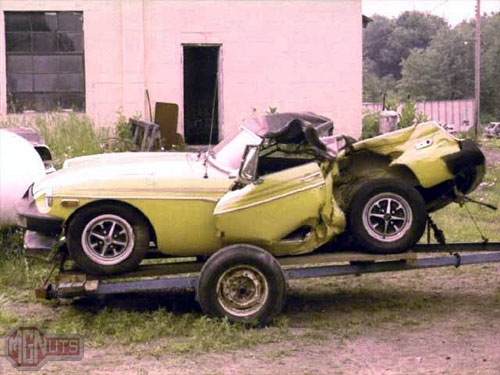 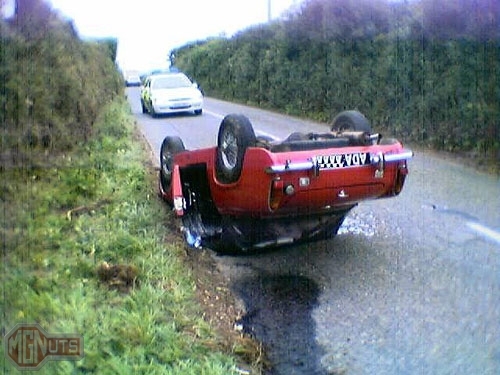 This 1978 MGB spun 180-degrees, went off the road and into the end of a guard rail. 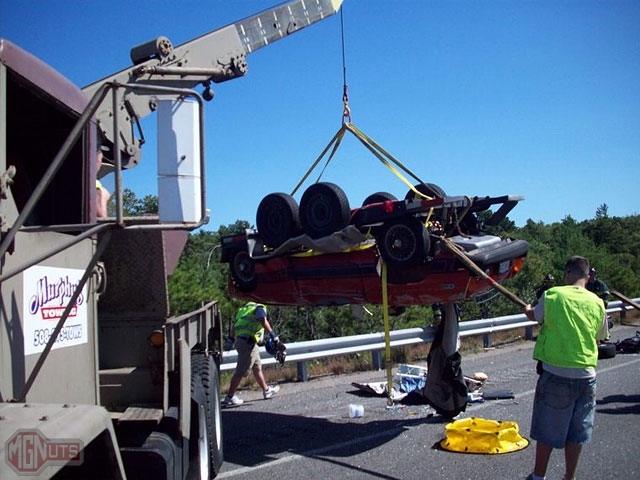 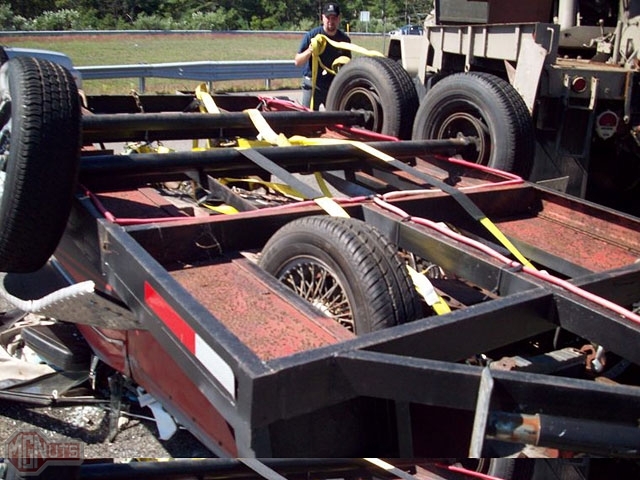 The driver suffered some back injuries but recovered. 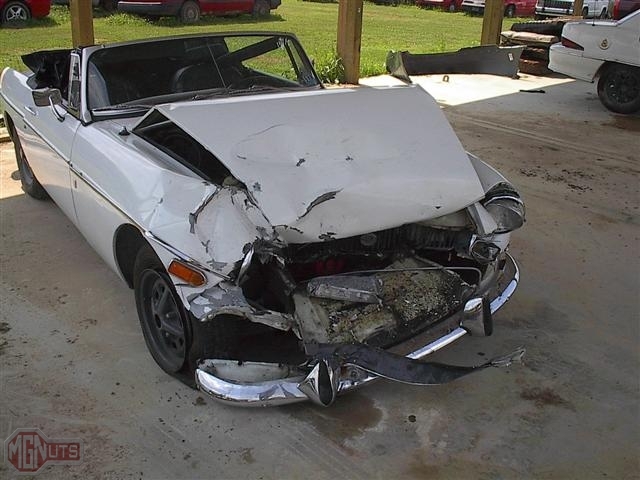 Photos courtesy Rich Stinchcomb. 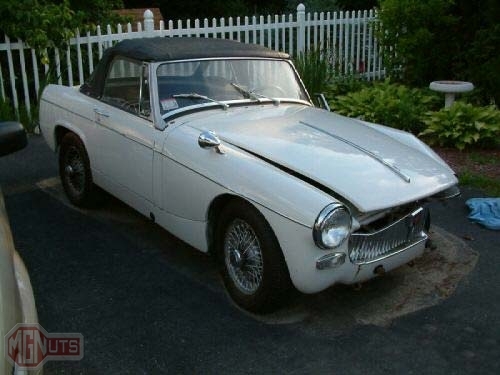 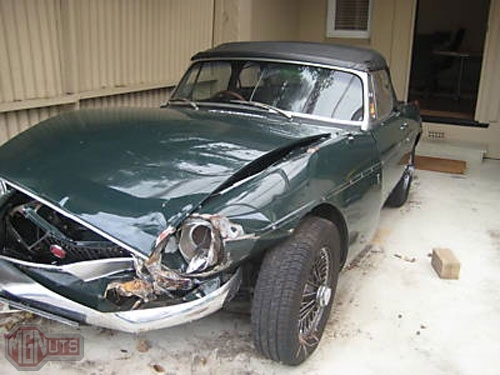 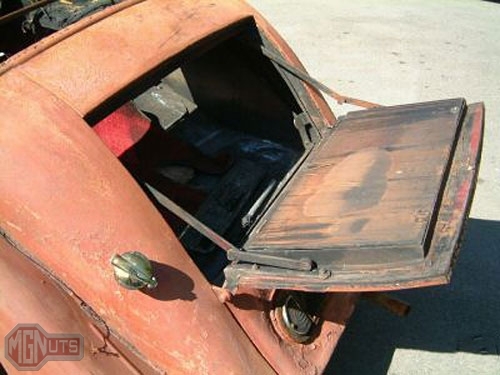 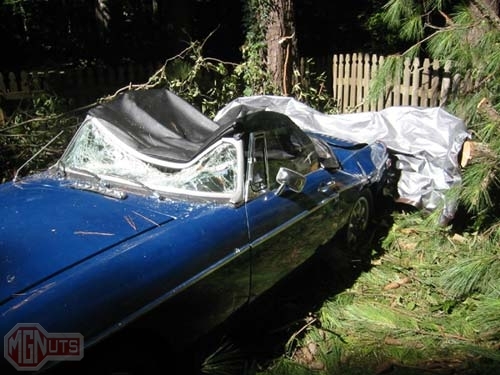 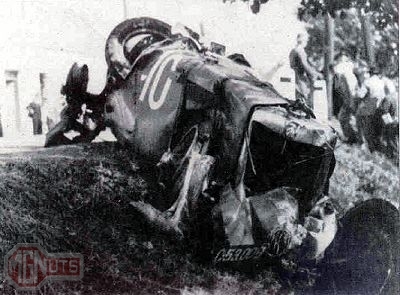 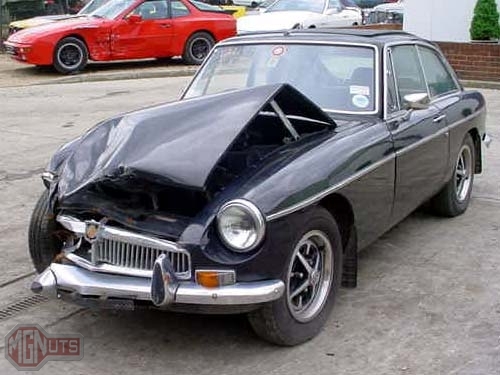 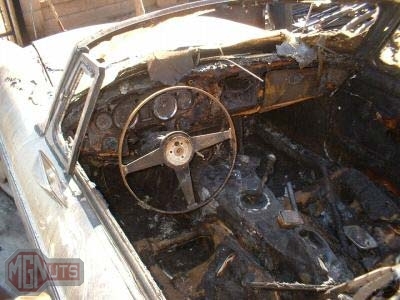 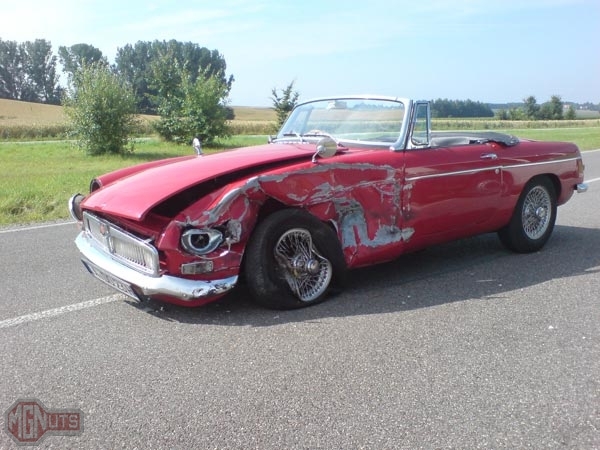 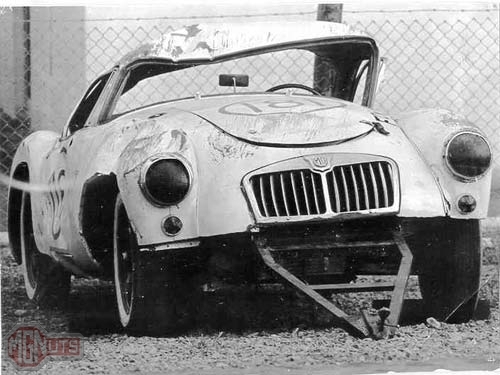 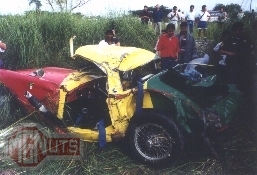 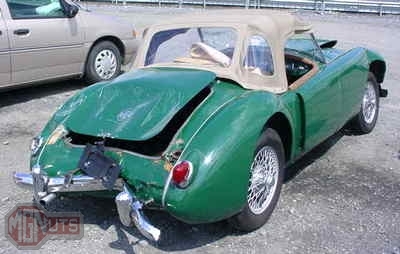 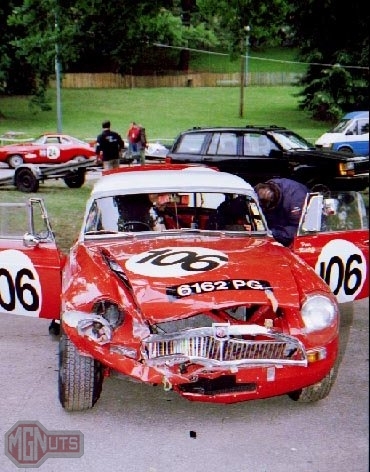 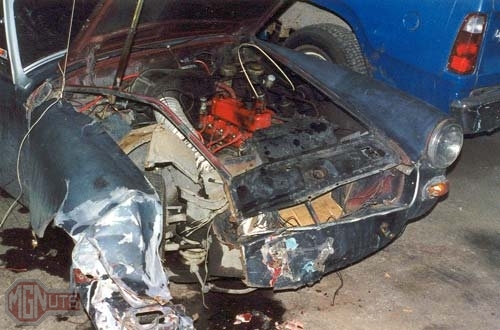 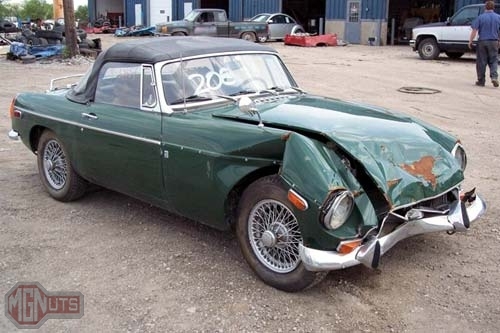 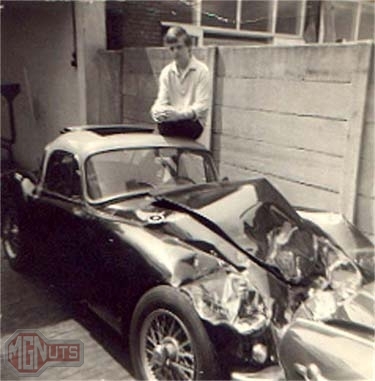 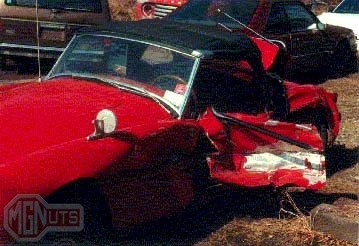 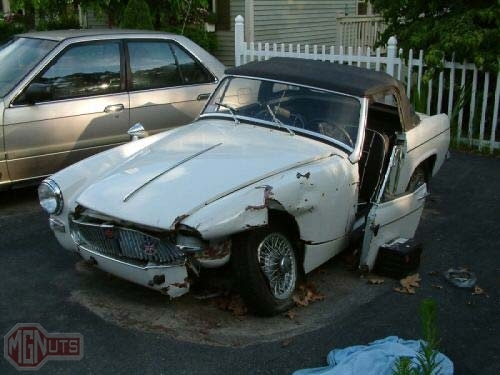 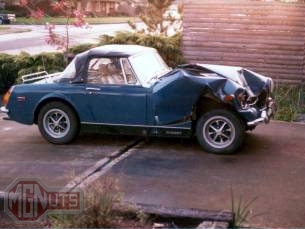 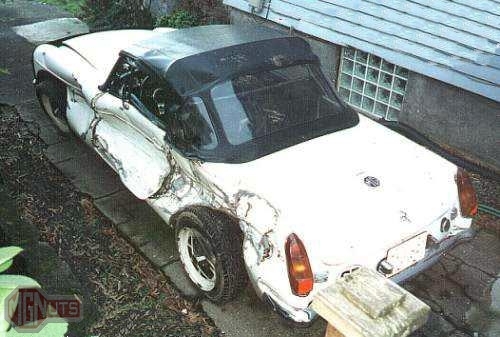 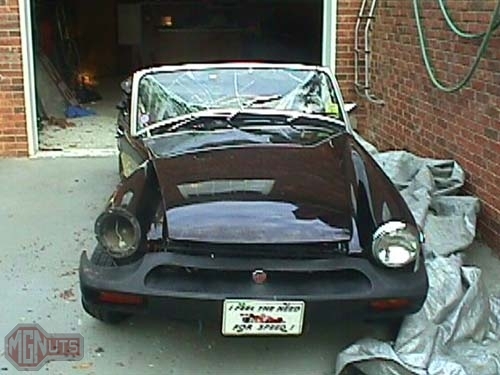 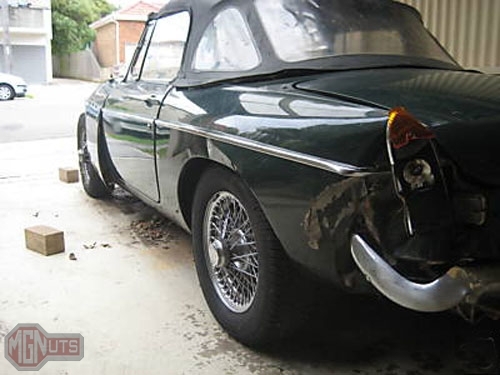 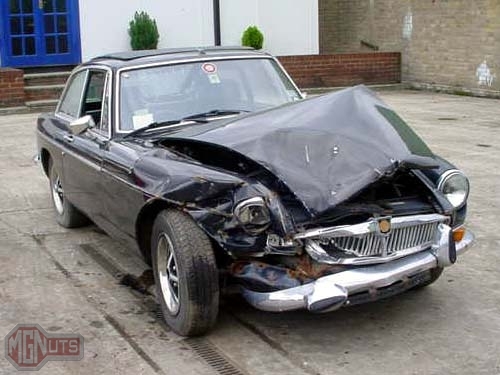 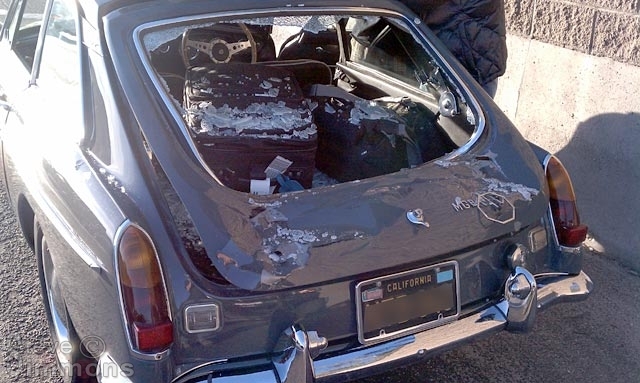 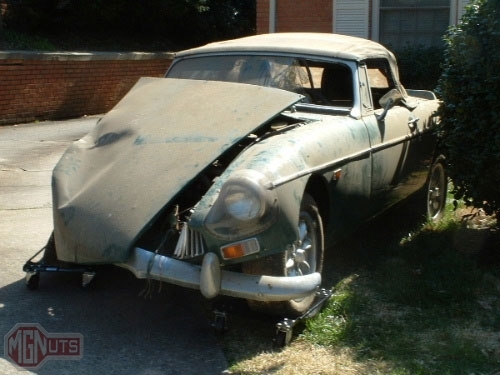 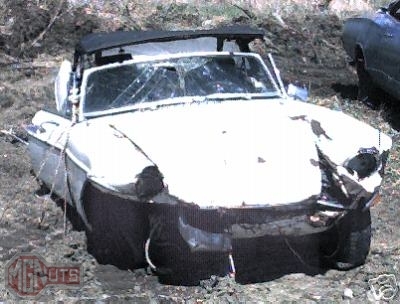 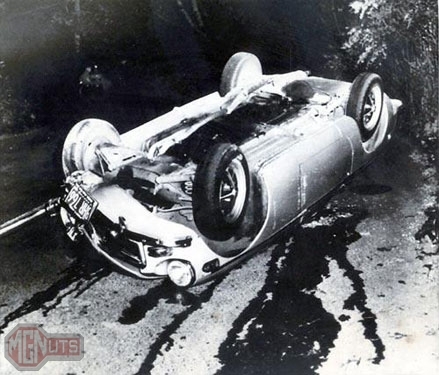 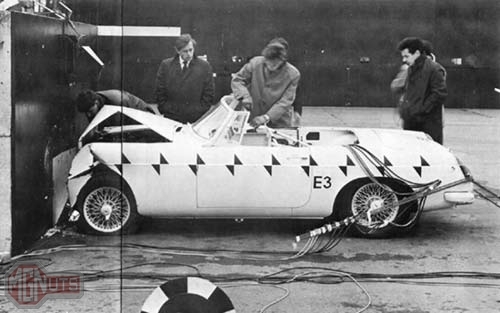 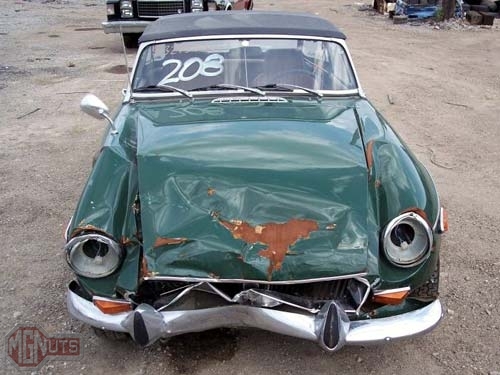 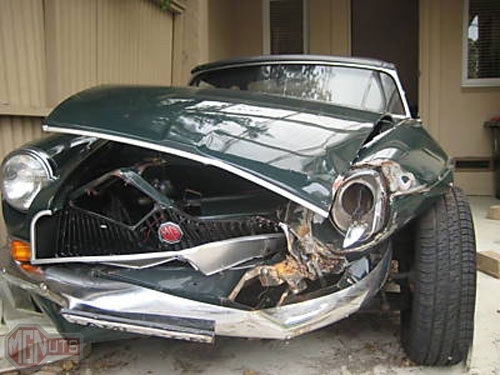 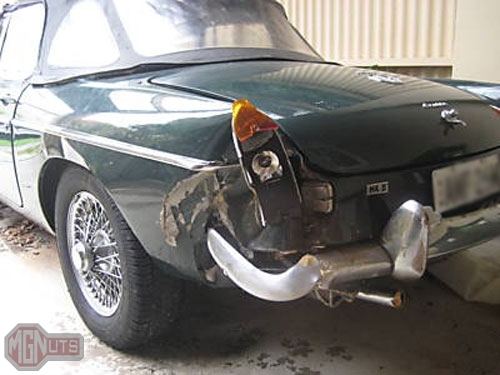 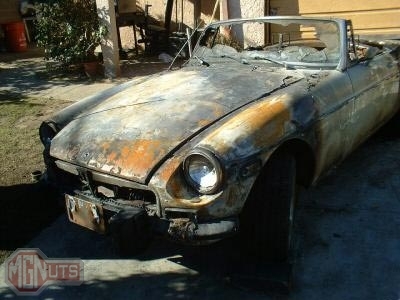 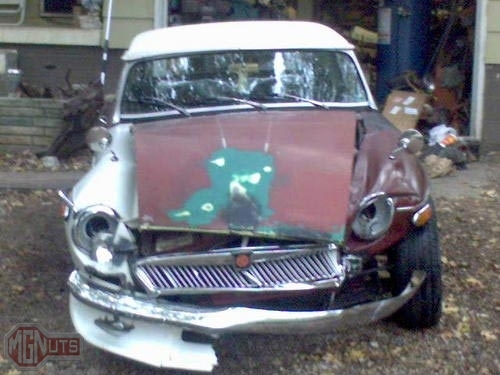 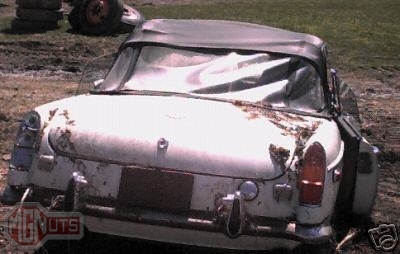 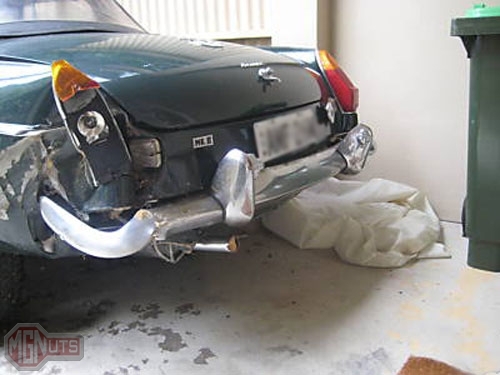 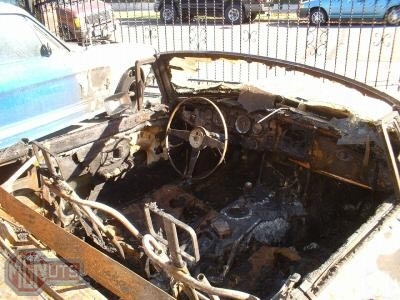 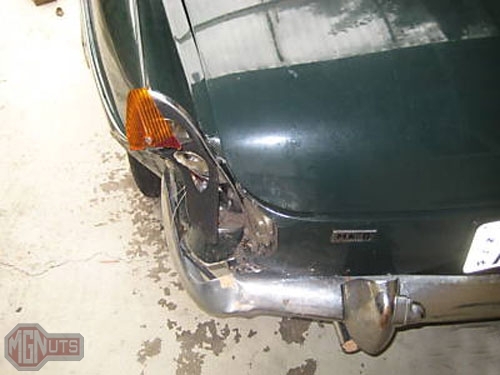 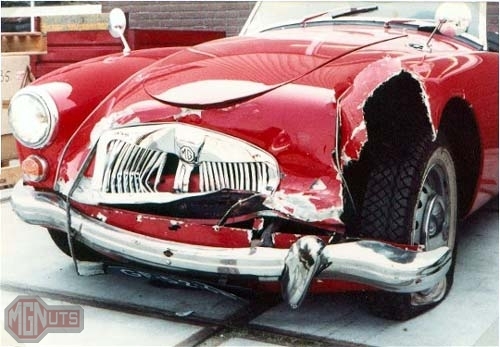 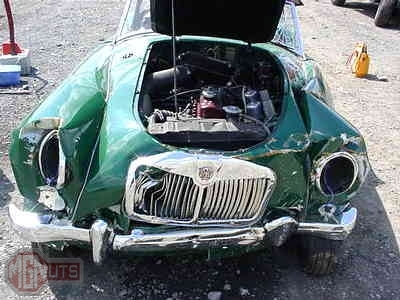 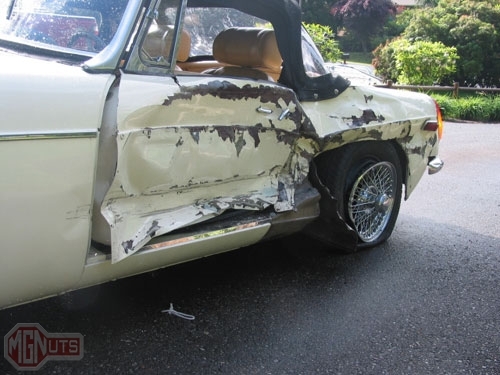 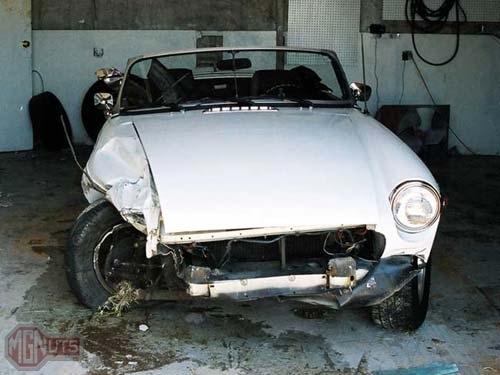 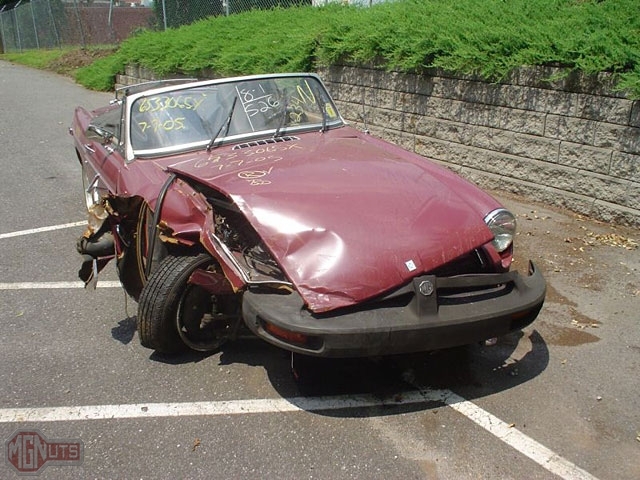 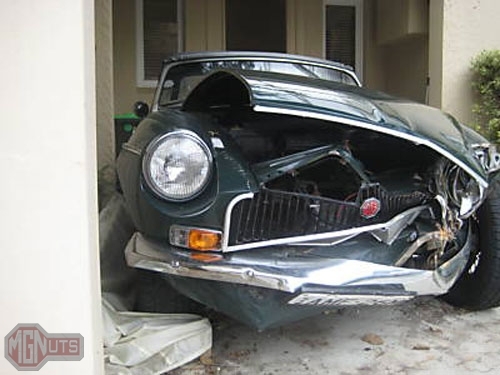 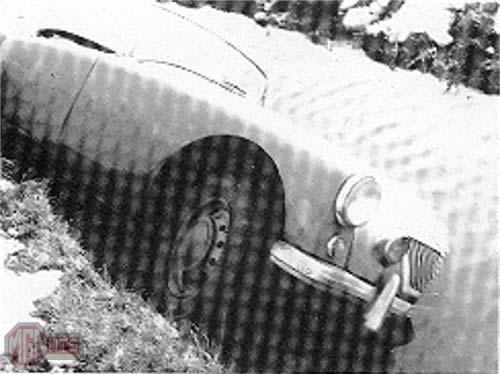 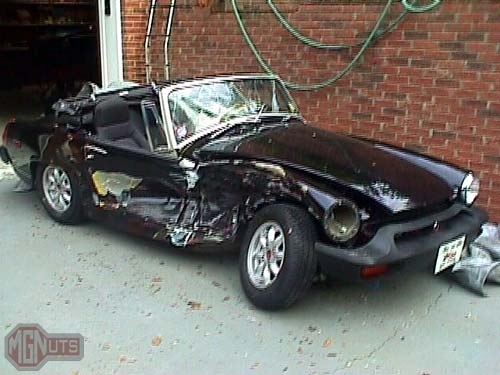 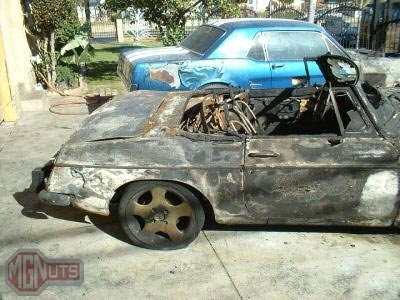 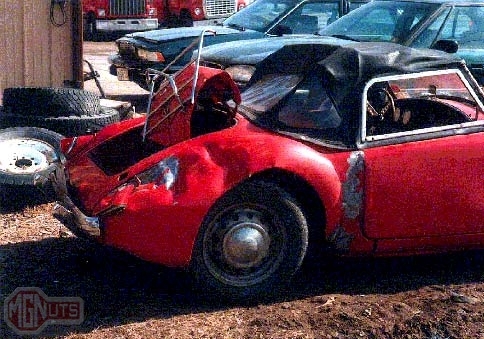 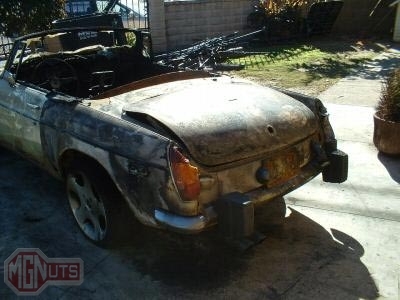 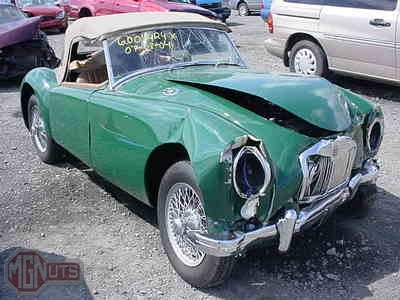 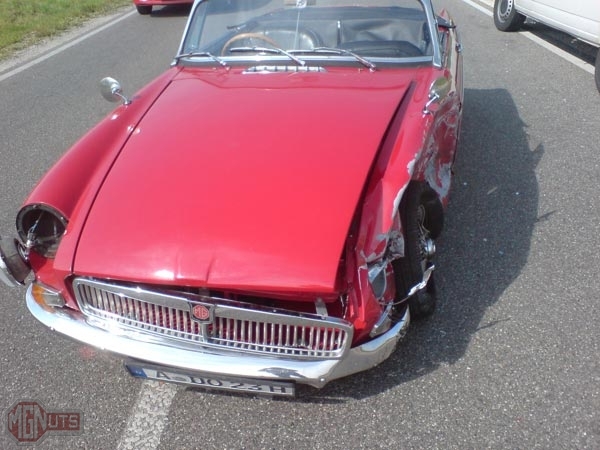 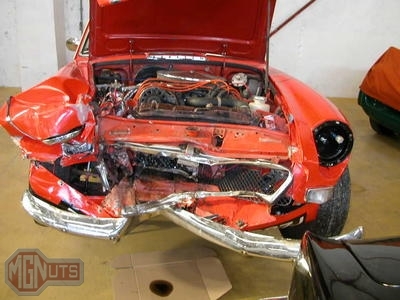 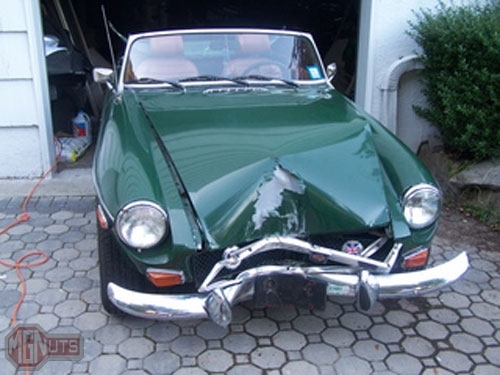 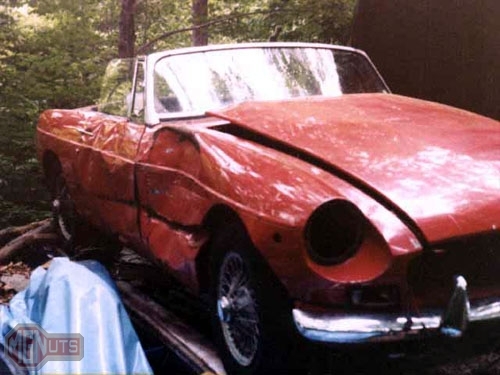 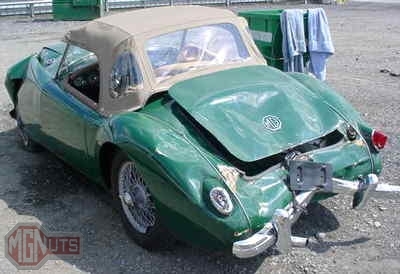 Joern M’s MGB after a serious collision. 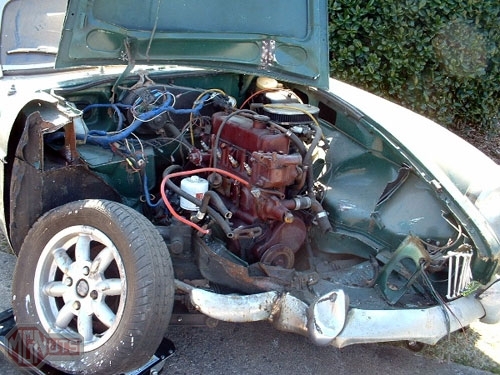 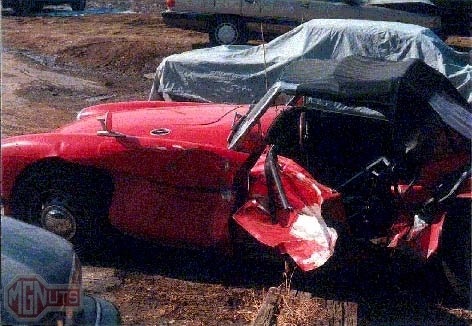 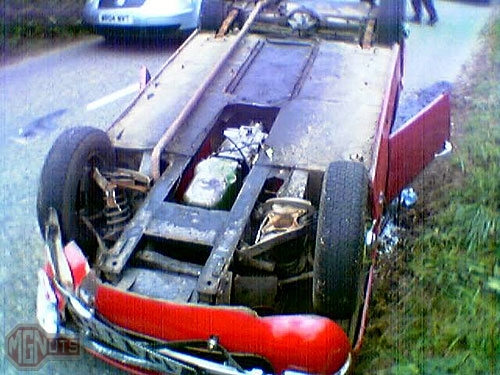 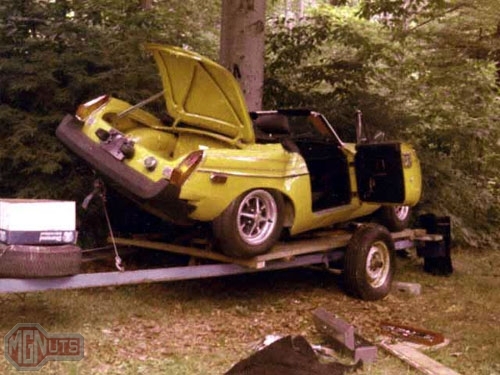 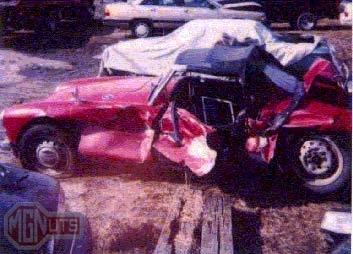 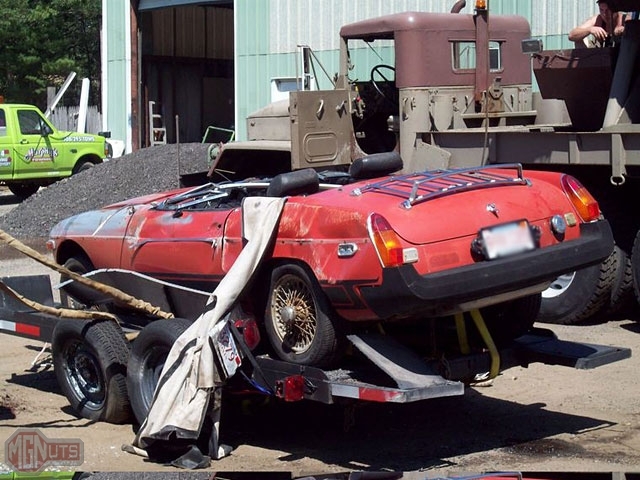 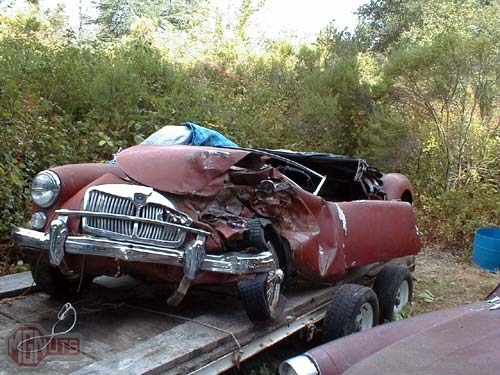 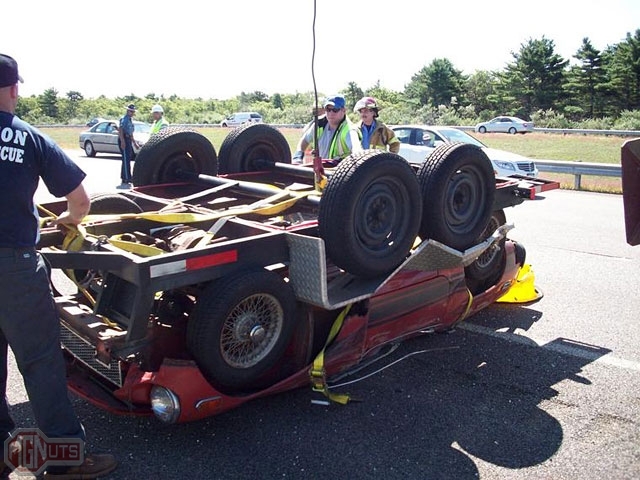 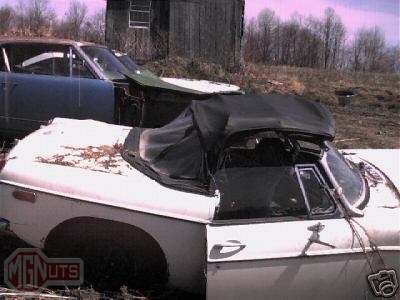 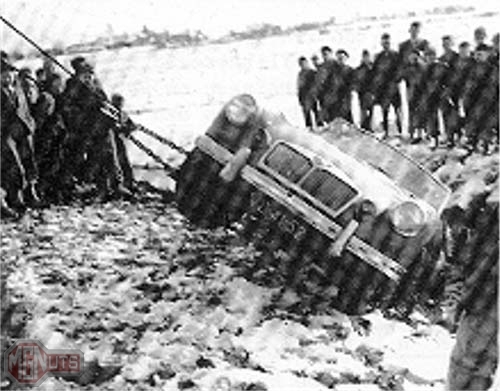 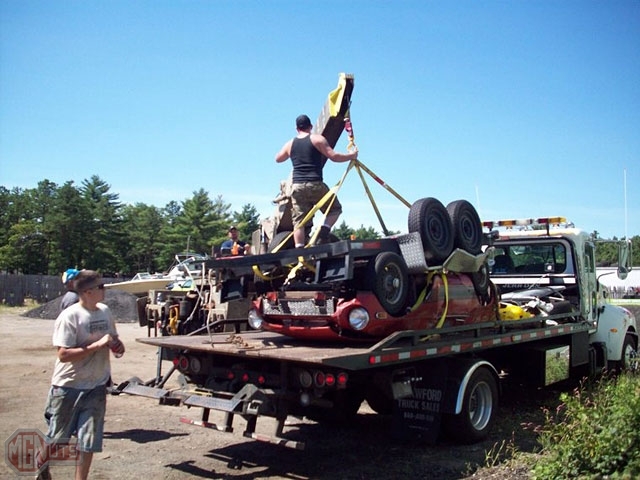 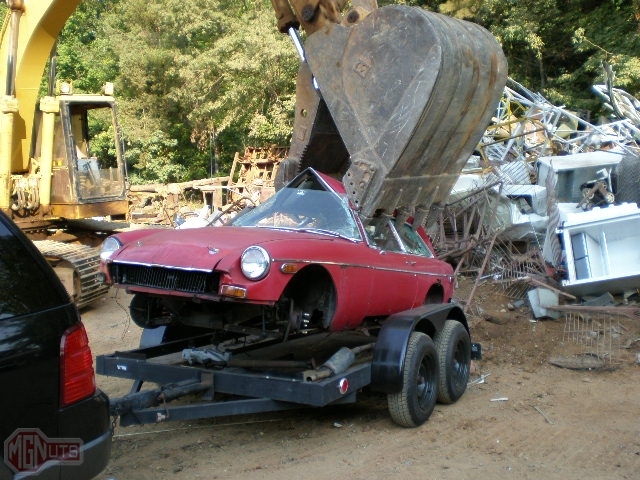 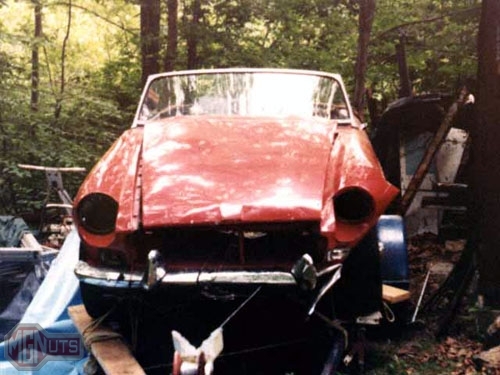 MGB flipped while being towed on a trailer. 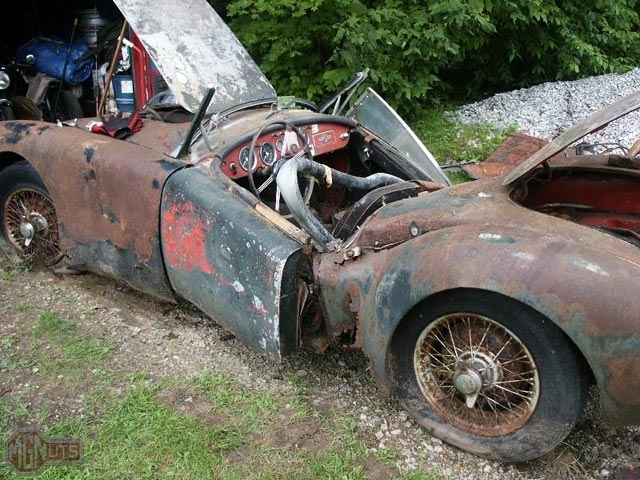 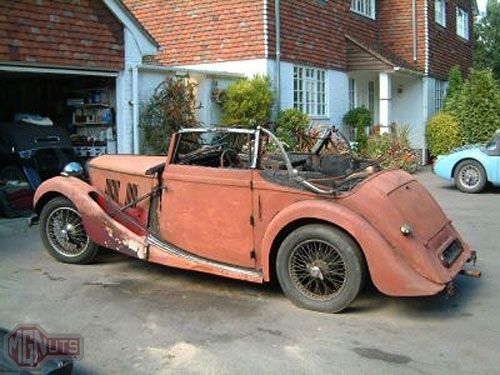 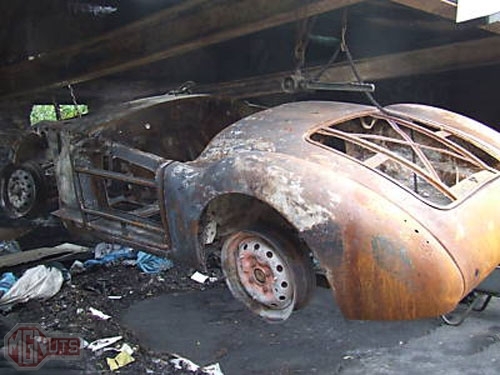 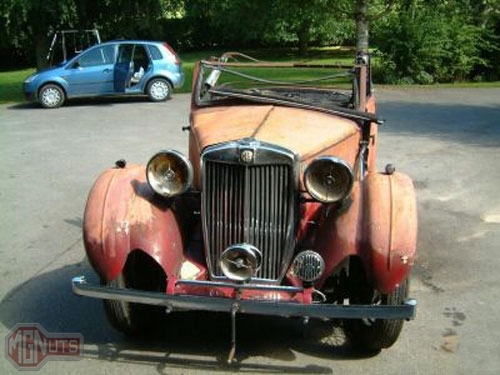 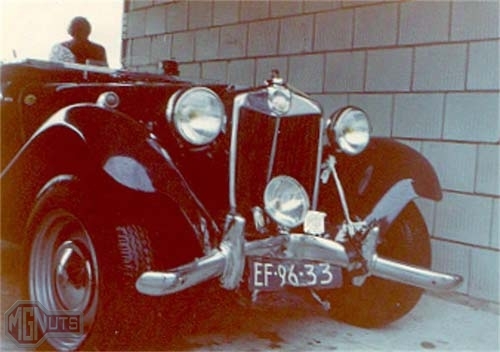 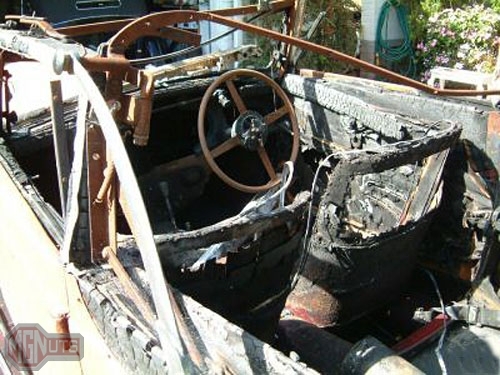 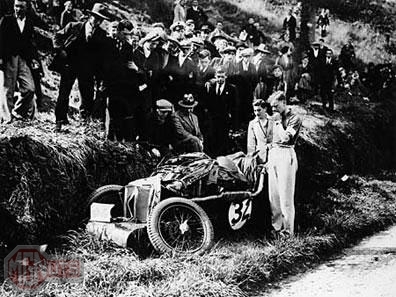 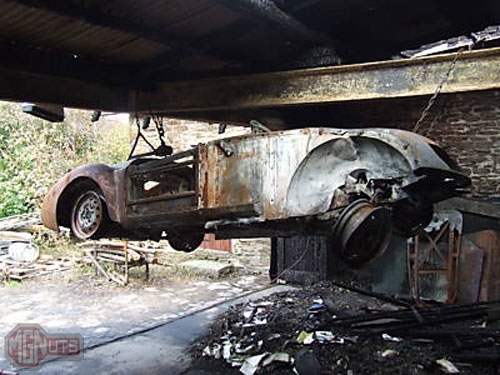 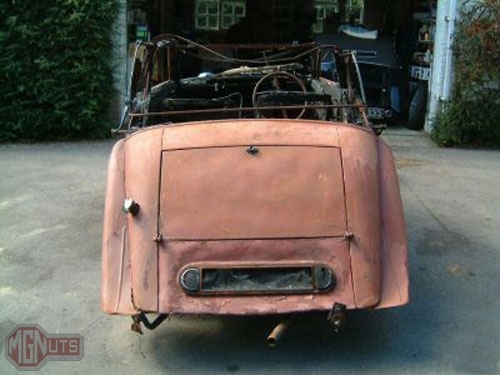 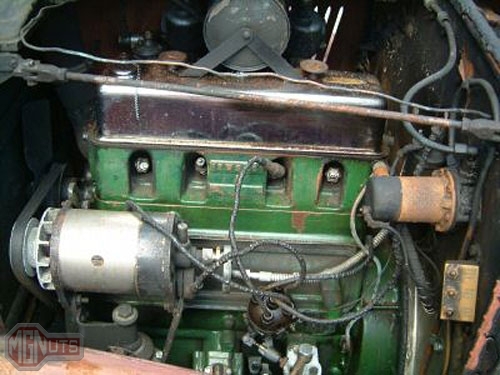 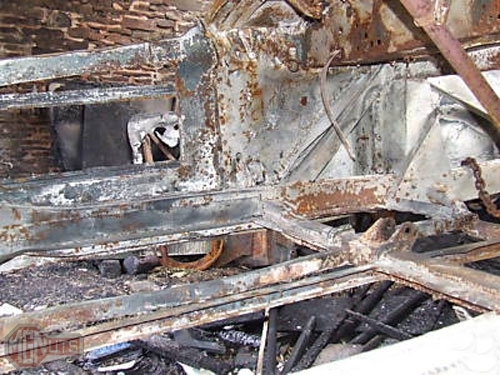 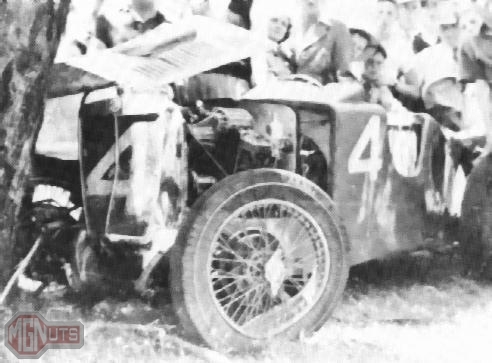 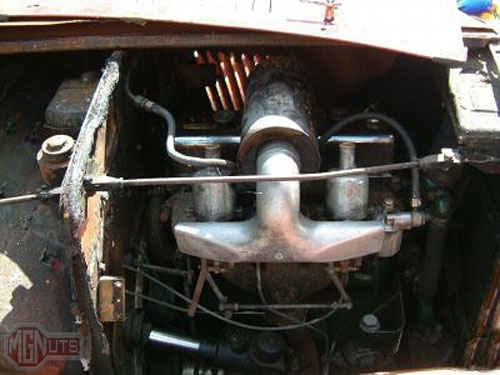 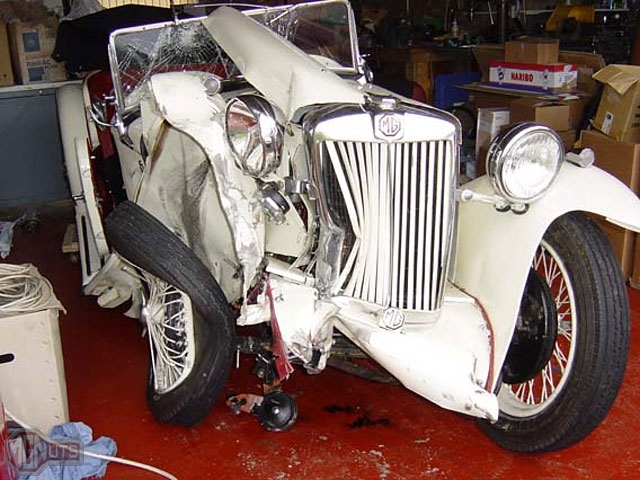 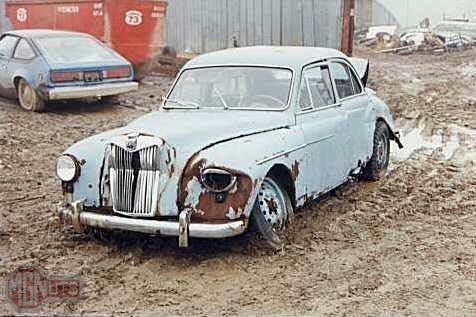 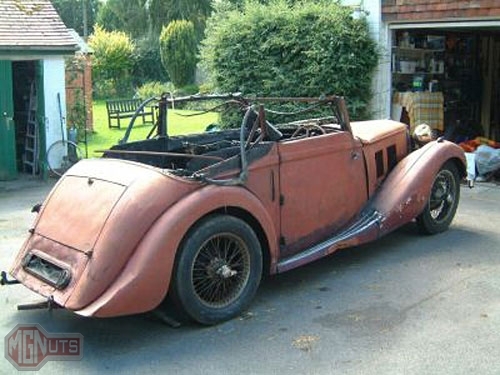 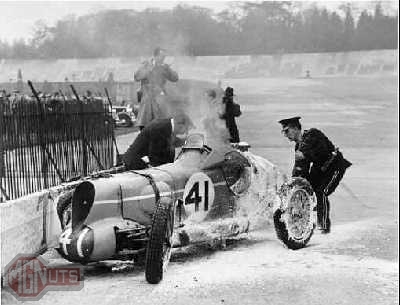 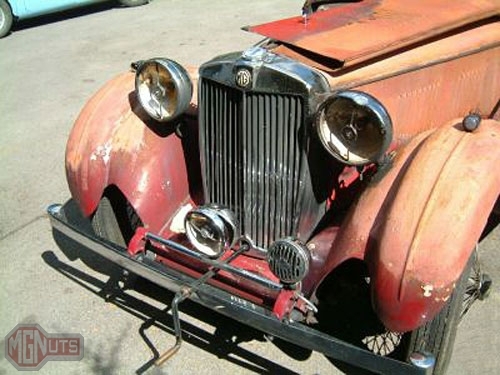 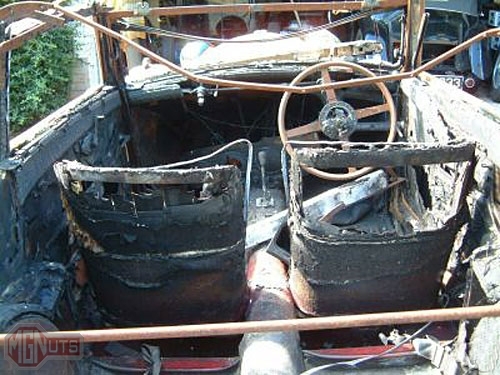 This 1938 MG VA Tickford DHC was a concourse-condition car before a fire destroyed it. 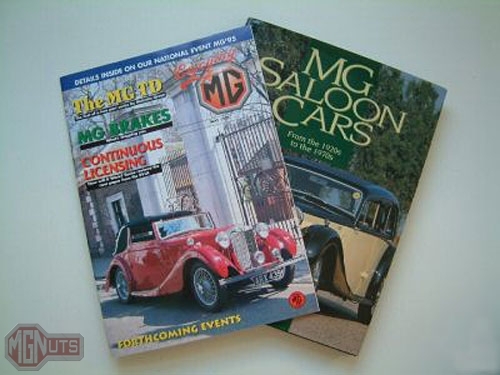 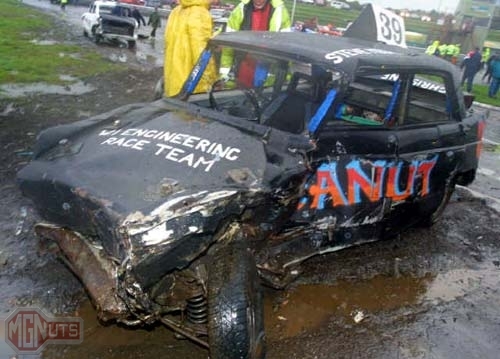 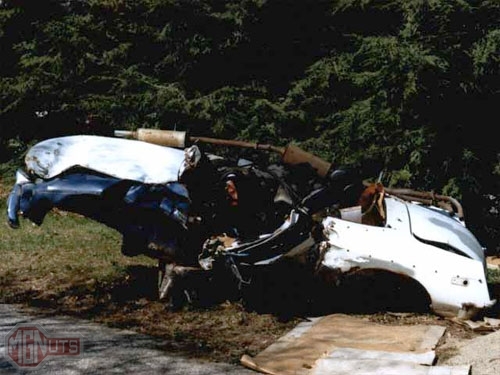 The car can be seen in its former glory on the books pictured with it.